Scotland and Georgia will write a new chapter in international rugby when they clash for the first time at Rugby Park Stadium on Wednesday. The Pool B opponents have never faced each other at full international level, although Scotland A have played against Georgia on two occasions. 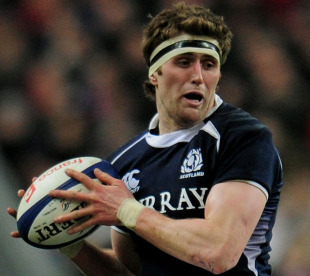 In November 2008 Scotland A ran out convincing 69-3 winners over Georgia at Firhill. Back-row forward Richie Vernon, who will be on the bench for Andy Robinson's team on Wednesday, scored two tries for Scotland's second string while Max Evans and Kelly Brown, who will both start in Invercargill, also touched down. However when the two sides met again less than two years later in the IRB Nations Cup Georgia pulled off a dramatic 22-21 victory in Bucharest. Back-row forward Shalva Sutiashvili scored Georgia's decisive try on the day and, if selected, he will be hoping to do the same against Scotland's senior side on Wednesday.